Your inner history buff will appreciate Basilica Cistern and Hagia Sophia Museum / Church (Ayasofya). You'll explore and learn at Kariye Museum (The Chora Church) and Topkapi Palace. And it doesn't end there: browse the eclectic array of goods at Kapali Carsi, get to know the fascinating history of Sultanahmet District, admire the landmark architecture of Rustem Pasha Mosque, and wander the streets of Ortakoy. For ratings, reviews, traveler tips, and tourist information, go to the Istanbul trip itinerary planner. Pordenone, Italy to Istanbul is an approximately 14-hour flight. You can also drive. The time zone difference when traveling from Pordenone to Istanbul is 2 hours. Plan for a bit warmer nights when traveling from Pordenone in August since evenings lows in Istanbul dip to 25°C. Wrap up your sightseeing on the 14th (Tue) early enough to travel to Selcuk. On the 15th (Wed), delve into the distant past at Celsus Kutuphanesi, delve into the distant past at The Terrace Houses, then explore the ancient world of Ancient City of Ephesus, then explore the ancient world of Efes Antik Kenti Tiyatrosu, and finally pause for some serene contemplation at Meryemana (The Virgin Mary's House). Get ready for a full day of sightseeing on the next day: look for gifts at La Tulip Art Gallery, stop by Moon Light Souvenir Silver Shop, make a trip to Curetes Street, explore the ancient world of The Temple of Artemis, then examine the collection at Ephesus Museum, and finally explore the ancient world of Arcadian Way. To find where to stay, photos, more things to do, and more tourist information, read our Selcuk day trip site . You can do a combination of flight and train from Istanbul to Selcuk in 5 hours. Other options are to do a combination of bus, flight, and train; or drive. Expect somewhat warmer weather when traveling from Istanbul in August: highs in Selcuk hover around 41°C, while lows dip to 26°C. Finish your sightseeing early on the 16th (Thu) to allow enough time to travel to Athens. 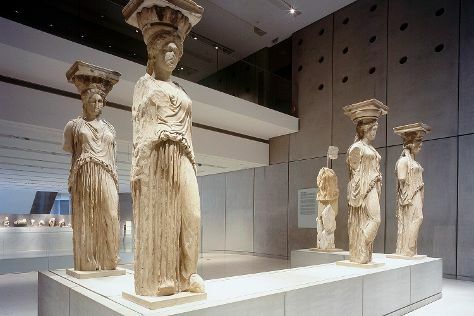 Appreciate the collections at National Archaeological Museum and Museum of Cycladic Art. Get some historical perspective at Acropolis of Athens and Temple of Olympian Zeus. Next up on the itinerary: wander the streets of Plaka, make a trip to Monastiraki, contemplate the long history of Ancient Agora of Athens, and admire the masterpieces at Benaki Museum. For maps, other places to visit, reviews, and more tourist information, go to the Athens online visit planner . Getting from Selcuk to Athens by combination of train and flight takes about 4.5 hours. Other options: do a combination of taxi and ferry; or drive. The time zone changes from Eastern European Time to Eastern European Time, which is usually a -1 hour difference. August in Athens sees daily highs of 39°C and lows of 29°C at night. Finish your sightseeing early on the 19th (Sun) to allow enough time to travel to Paradise Beach. Kick off your visit on the 20th (Mon): stroll through Platis Gialos Beach and then kick back and relax at Panormos Beach. 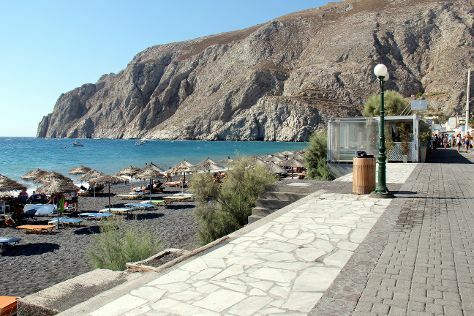 On the next day, tour the pleasant surroundings at Elia Beach, kick back and relax at Super Paradise Beach, and then tour the pleasant surroundings at Paradise Beach. To find traveler tips, maps, and more tourist information, read our Paradise Beach travel planner. Traveling by combination of car and ferry from Athens to Paradise Beach takes 3 hours. Alternatively, you can do a combination of flight and bus; or do a combination of flight, ferry, and bus. 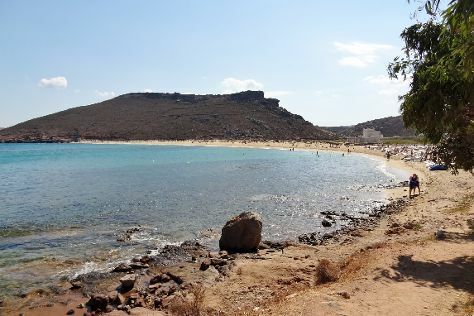 When traveling from Athens in August, plan for a bit cooler days in Paradise Beach, with highs around 33°C, while nights are about the same with lows around 27°C. Wrap up your sightseeing on the 21st (Tue) to allow time to travel to Oia. Kick off your visit on the 22nd (Wed): get interesting insight from Tours and then kick back and relax at KAMARA BEACH. On the next day, explore the ancient world of Akrotiri, then enjoy the sand and surf at Red Beach, then pause for some serene contemplation at Ekklisia Panagia Platsani, and finally take some stellar pictures from Sunset in Oia. To see more things to do, ratings, traveler tips, and tourist information, read Oia road trip planner. You can do a combination of car and ferry from Paradise Beach to Oia in 3 hours. In August in Oia, expect temperatures between 36°C during the day and 28°C at night. Finish your sightseeing early on the 23rd (Thu) to allow enough time to travel to Heraklion. 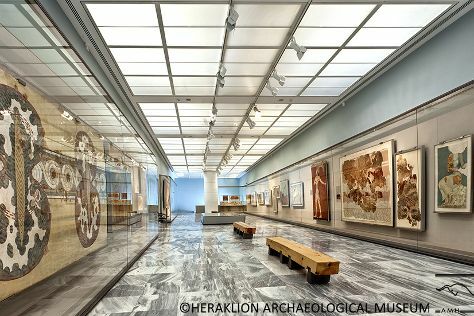 Start off your visit on the 24th (Fri): explore the ancient world of The Palace of Knossos, take an in-depth tour of Heraklion Archaeological Museum, and then contemplate the long history of Venetian Walls and Tomb of Nikos Kazantzakis. Here are some ideas for day two: get a new perspective on nature at The Natural History Museum of Crete, then take an in-depth tour of Ιστορικό Μουσείο Κρήτης - Historical Museum of Crete, then pause for some serene contemplation at Church of Saint Titus, and finally tour the pleasant surroundings at Stalis Beach. For where to stay, maps, other places to visit, and other tourist information, use the Heraklion sightseeing planner. You can ride a ferry from Oia to Heraklion in 2.5 hours. Another option is to fly. In August in Heraklion, expect temperatures between 34°C during the day and 26°C at night. Wrap up your sightseeing on the 25th (Sat) early enough to travel back home.